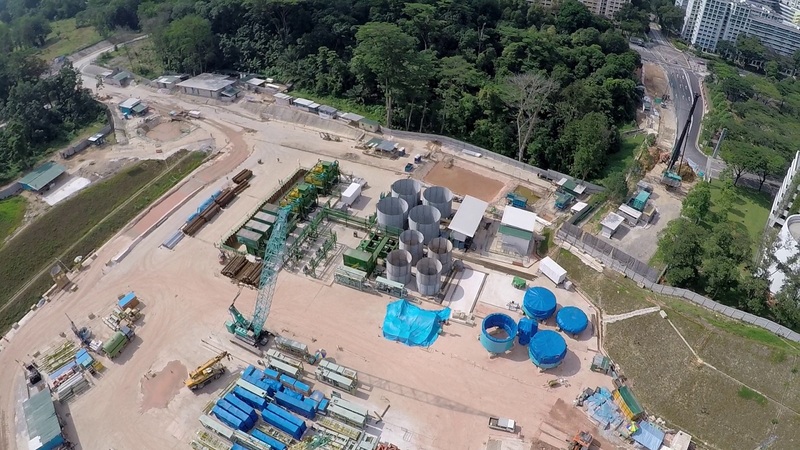 PSD has assembled twin Slurry Treatment Plants at the T202 site for Thomson Line in Singapore. The equipment was shipped from the UK in January & February 2015 and assembled on site in May. Commissioning will take place later this year, when PSD's client, Penta-Ocean Construction Co. Ltd., is due to commence construction of Woodlands North Station and Associated Tunnels for the Land Transport Authority of Singapore. Tunnelling will be carried out using NFM TBMs.